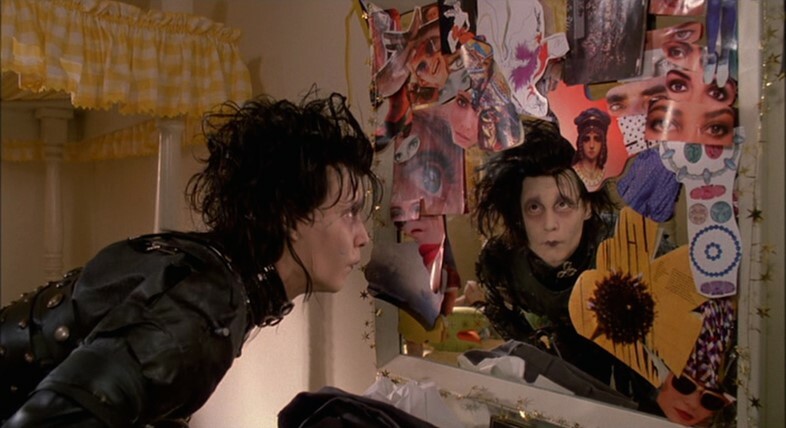 This month marks 25 years since the release of Tim Burton’s wondrously dark film Edward Scissorhands, the story of a soulful boy with scissors for hands, who leaves his isolated mansion in search for his true identity, but is unable to assimilate the outside world. 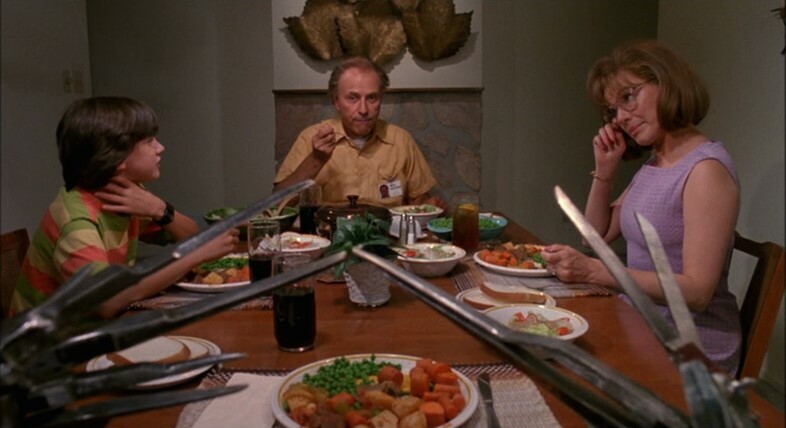 Inspired by the director’s own disaffection towards his suburban youth, the film solidified Burton’s distinctively carnivalesque and freakishly introspective storytelling. From Beetlejuice to Big Fish, Burton’s name has grown to be synonymous with his consistent and uncompromising visual style, comprised of indelible characters and fantastical themes which still resonate with popular imagination a quarter of a decade on. To celebrate this milestone, we lift the veil on some little-known facts about the cult fairytale, and enter the whimsical world of one of cinema’s most visionary filmmakers. The very first rendition of Edward's character came into existence by way of a sketch that Burton drew in his early 20s. Edward’s inability to touch others without hurting them with his razor-sharp fingers was a metaphor for Burton’s own difficult youth in the suburban town of in Burbank, California. Alienated from his own environment as a young boy, Burton found a creative outlet in drawing. Despite the dark motives behind his practice, Burton’s standpoint has always been comical and high-spirited. 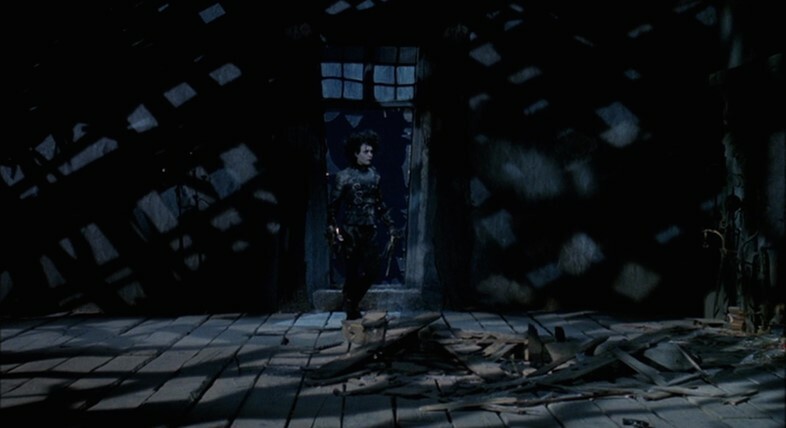 If you’ve ever wondered why the entire film looks so wonderfully surreal, it’s because the viewer sees it from Edward’s perspective. After scouting locations across the United States, the crew settled on a new development of homes in Tampa, Florida. Once residents were relocated to a motel, each house was painted in one of the four chosen colour schemes – which included sea-foam green, flesh, butter and dirty blue – and the windows slightly shrunken to heighten the sense of distortion and paranoia in the landscape. Actors are often drawn to dialogue-heavy roles and long-aired monologues, but Johnny Depp saw the depth of Edward’s potential beyond the limitations of his spoken lines. In fact, it wasn’t the script which hooked Depp at all. “Tim showed me several drawings of Edward,” he has said in the past. “I’d read the script, of course, but Tim’s drawings said everything. I instantly fell for the character, he made his way into my body.” Depp was so dedicated to an authentic recreation of his character that he rejected any cooling agents while filming, in spite the torrid temperatures and his leather costume, causing him at one point to collapse from heat exhaustion. It’s no surprise that Burton met with many actors before casting Johnny Depp as the lead character for the film; in fact, Burton and Depp’s long-standing creative partnership began when they met at a coffee shop to discuss the role of Edward. Burton knew neither Depp nor his work on 21 Jump Street, meeting him based on a recommendation, but by the end of their meeting he knew he was the right person for the role. The list of could-have-been Scissorhands included John Cusack, Tom Hanks, Jim Carrey, Robert Downey Jr. and Tom Cruise. 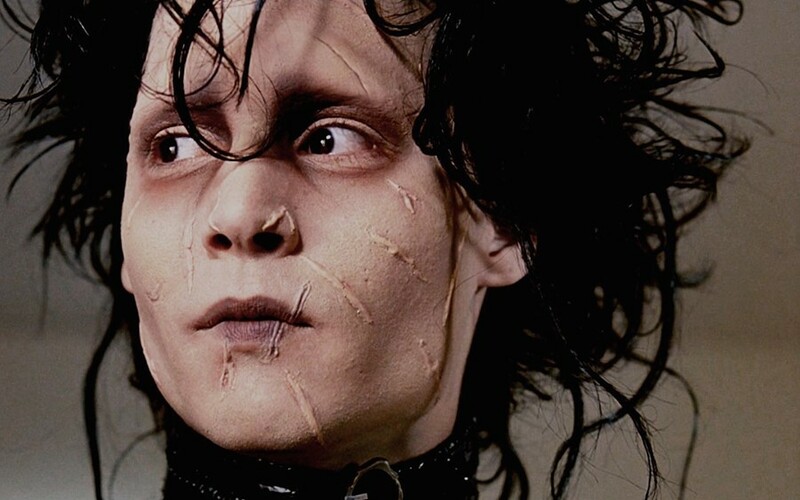 Luckily for Depp, then a Hollywood newbie, Burton liked the idea of using a fresh face for the part. 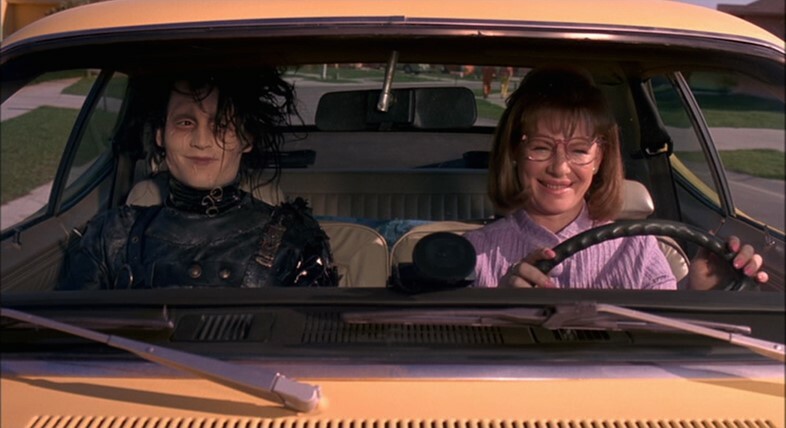 Before Nick Carter was to become a Backstreet Boy, he played an uncredited extra in Edward Scissorhands. 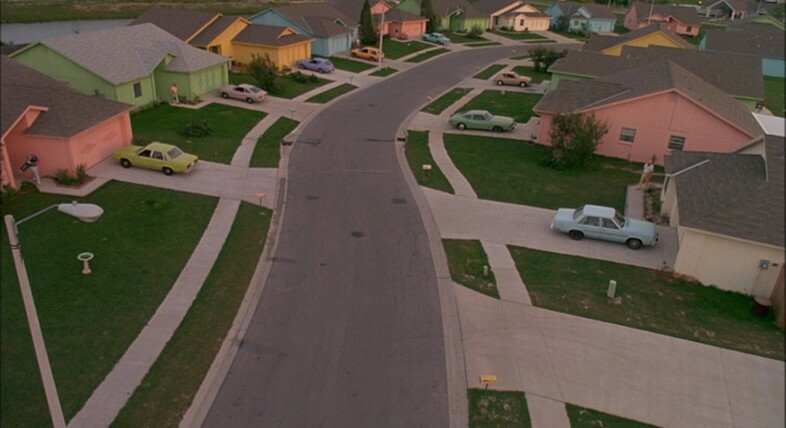 Carter’s fleeting appearance happens at the beginning of the film when Edward is being driven into town – the car passes a house with children playing on a Slip ‘n’ Slide in the front yard. The small boy seen running onto a slide would later become a 90s heartthrob. 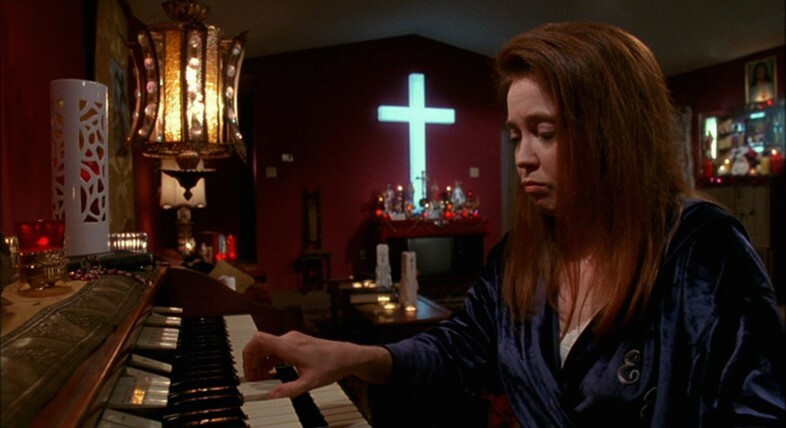 Unsurprisingly, Burton had some morbid tendencies while growing up in suburbia, from playing in cemeteries to a fascination with Vincent Price’s horror films. His childhood enchantment with Price was the motivation for his 1982 short film Vincent, which marked their first collaboration. 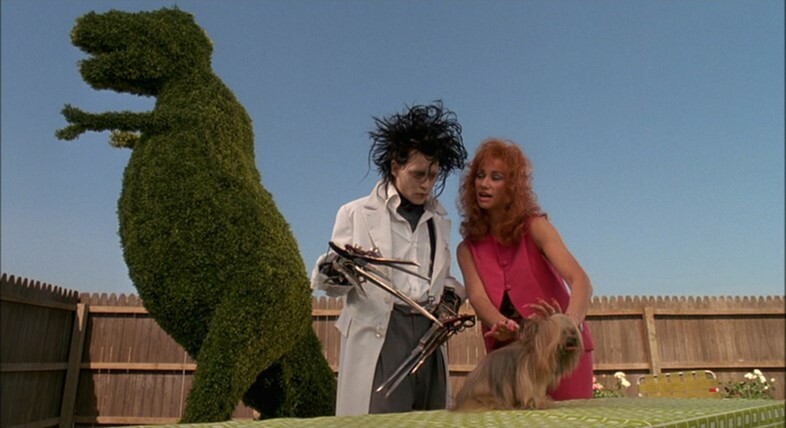 Nearly a decade later they worked together again on Edward Scissorhands, with Price in the role of The Inventor, Edward’s creator. Originally his role was supposed to be more dominant but due to his emphysema it was trimmed down. Sadly, this was Price’s last big screen role, and his death scene was his last. Long before greenscreens and CGI were commonplace, film sets were constructed by the art department with hammer and nails. 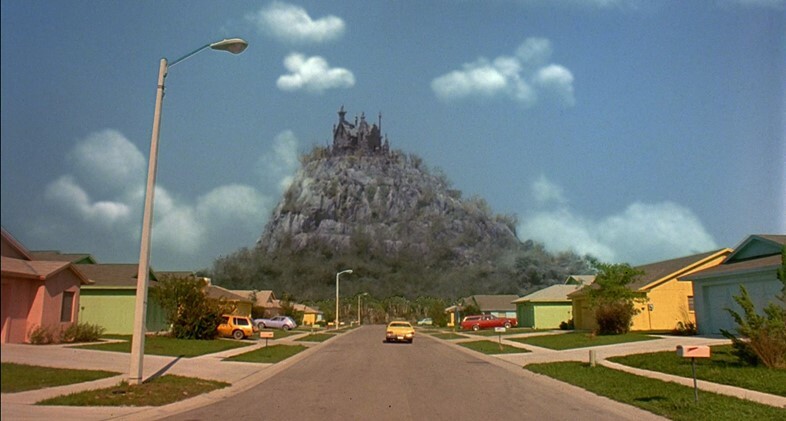 Having already collaborated with Burton on Beetlejuice, production designer Bo Welch was no stranger to the director’s style, but it was with Edward Scissorhands that he showed his full mastery of the craft, taking home a Bafta in the process. 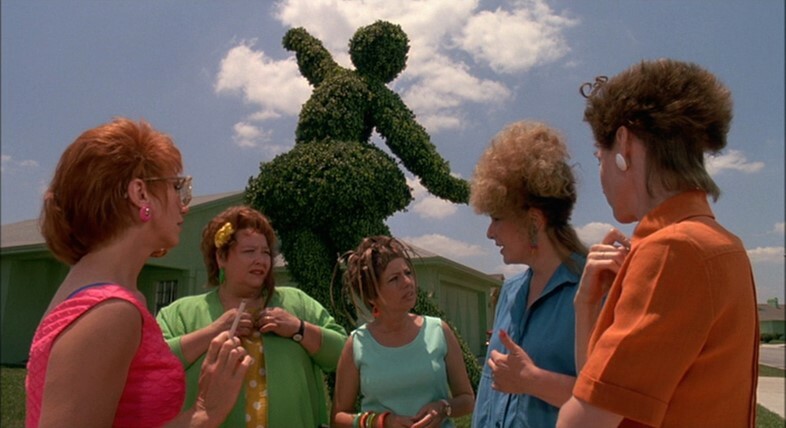 Once they'd taken over the neighbourhood and completed the house make-overs, Welch ripped out all the preexisting vegetation and replaced it with massive topiaries made of chicken wire and artificial grass. Fascinatingly, in the scene where Peg sees Edward’s castle for the first time from the sideview mirror of her car, the castle she sees is actually a small study model, propped up on a C-stand.